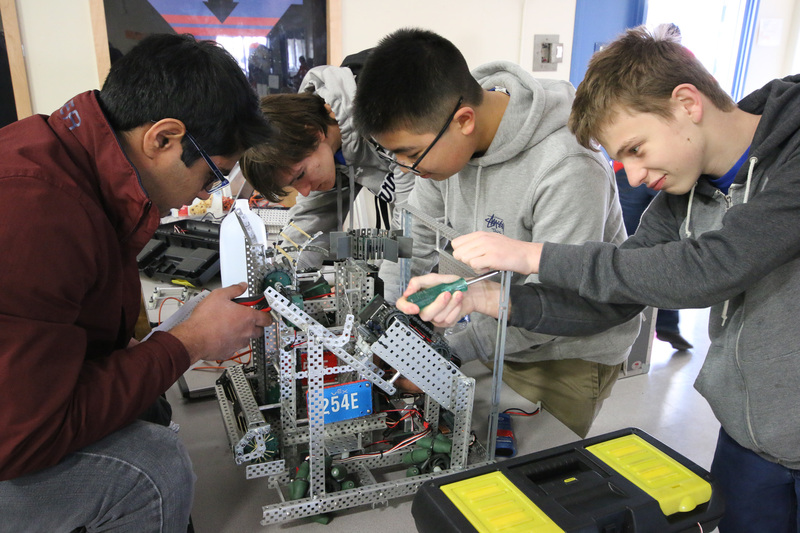 This past Saturday, VEX teams 254E and 254F travelled to Concord, to compete in the Duel in Diablo Nothing but Net VEX Tournament. At the tournament, they competed against 27 other teams from around the area. Team 254E works on their robot between matches. Both teams performed very well throughout the qualification matches. 254E, with just a single loss, finished the qualification matches ranked 3rd overall. 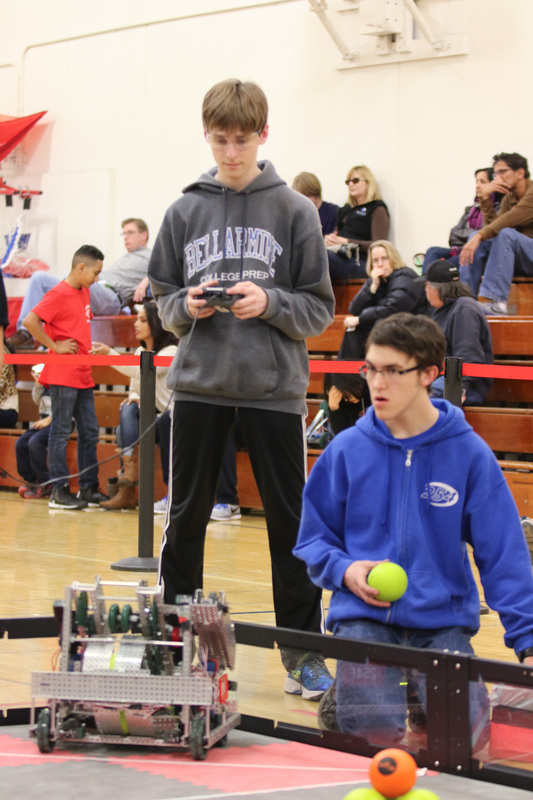 254F also performed fairly well, ranking 11th by the end of the qualification matches. 254F uses their match loads during a match.  During alliance selection, 254E invited 254F to join the third seed alliance. 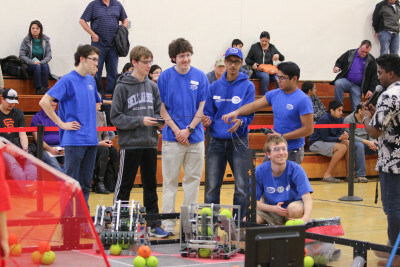 Due to the size of the tournament, each alliance only contained two teams. Unfortunately, this turned into a problem when the robots from 254E and 254F had issues, and there were no other robots to rely on. This led to the alliance being eliminated during quarterfinals. 254E & 254F strategize before their first quarterfinals match. Despite not doing as well as they had hoped during eliminations, 254F was awarded the sportsmanship award.